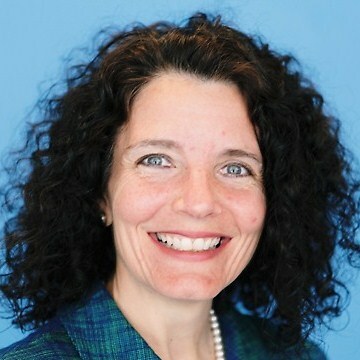 Dr. Pamela Eddy — a fabulous advisor and role model. You know those horror stories you hear about PhD students, endlessly stalled in their work? Although many are true, they don’t have to be! With careful consideration a little luck, it is possible to find excellent advisors who have the goal of helping you succeed. When I was completing my dissertation, I was blessed to have two exceptional advisors, Dr. Pam Eddy and Dr. David Leslie, who were there to help me from start to finish. I also benefited from some sage advice from Drs. Michael DiPaola and Tom Ward. All these people were instrumental in the timely completion of my dissertation. These folks wanted me to succeed. And, all these people knew how to let a self-starter like me start, and finish! I often heard them say, “the best dissertation is a done dissertation” and “Keep It Simple (Stupid).” I think the KISS principle should apply to far more dissertation studies than it typically does. My advisors knew that the main points of a dissertation at the PhD level are (1) for the candidate to demonstrate s/he is capable of producing quality, doctoral level research and (2) to contribute something new to the pool of human knowledge. It is not, necessarily, to write the most eloquent piece of prose known to mankind or to solve world hunger in one fell swoop. Thankfully, my advisors didn’t micromanage my work or act as though the fate of the world hung on each word I composed. 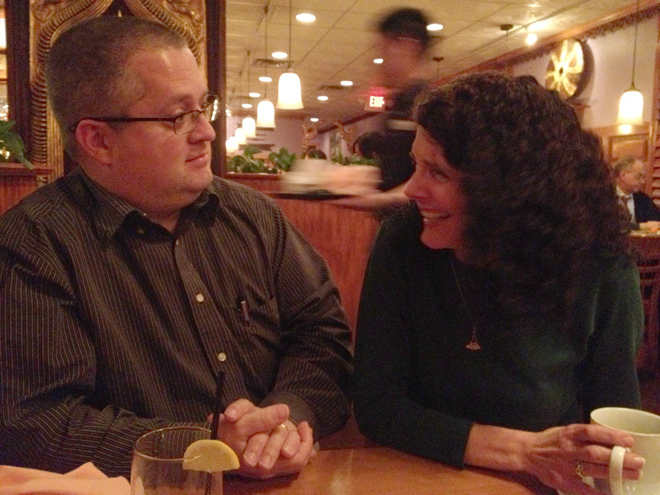 Dave Chance and Pam Eddy shooting the breeze at Bangkok Garden in Williamsburg, Va. But make no bones about it: quality counts. I finished my dissertation swiftly, but I also produced a piece of work that won an Outstanding Dissertation Award from the International Society for Educational Planning (ISEP), got published in a top-tier journal, and was downloaded more than 800 times over the course of a few weeks from the Society of College and University Planners (SCUP) website. So my advice is: when you’re selecting your thesis/dissertation advisors, take care. Make sure to select accomplished people who are interested in and reasonably knowledgeable about your topic and who can keep things in good perspective. Many candidates fall into traps I learned early on (I’ve completed two theses — one for my Bachelor of Architecture degree and one for my Masters of Architecture — as well as the doctoral dissertation). In the first of these experiences, I wasn’t careful enough about editing my advising team. There were too many “cooks in the kitchen,” so to speak. After five frustrating weeks trying to please four different advisors who had somewhat competing agendas, I took matters into my own hands. I learned to trust my own judgement and ask for targeted advice when and where I needed it. I finished that B.Arch. thesis on time, something rare in my architecture school back then. I took exactly the same amount of time, 8 months, to write my PhD dissertation. In both cases, I’d laid much of the groundwork (such as review of the literature) ahead of time, so as to start the race on solid footing. For the past 14 years, I’ve advised students who are completing architectural theses themselves. I know I’ve inadvertently sent some of them scurrying in circles, but I’ve also tried hard not to be that type of advisor. I’ve learned a great deal over time, and I’ve developed skill in thesis advising. Today, I feel quite confident in my ability to support students in their thesis work. Many of my students have won awards and presented their thesis work in professional forums. And with Facebook, I get to watch them grown into skilled architects over time… what a joy! I have this to say that students approaching their capstone projects: be on the alert for signs that the person you’re about to invite to your committee might fail to see what’s in your best interest. It seems to me that some dissertation/thesis advisors view each candidate’s work as an immediate reflection of themselves (in that realm, I’m sometimes at fault myself). Some advisors want every aspect of the work done the way they would do it themselves (and that’s not the case for me). I have seen instances where advisors haven’t been able to stretch their minds far enough to understand what the candidate is trying to achieve or how s/he is going about it, even though the approach appears valid to me. In some cases supervisors act as if the student’s dissertation/thesis is the single most important piece of research ever conducted. They go overboard belaboring every aspect. Although I know there are times when such tinkering is warranted, I have also seen some professors reject work and/or demand countless revisions regardless of the quality of work they have been presented for review. Yes, they want the work to be the best it can possibly be… but the work this student does later in life is likely to be far more important (as long as they can meet the required quality thresholds for their degree level). So keep in mind: it’s crucial to find people who respect your abilities and want to share the joys as well as the pains of critical investigation with you. People who want to help you achieve and succeed. And people who won’t let their own egos drive your project. Thank God I found those people! To this day, I maintain personal ties with Drs. Leslie and Eddy. Dr. Eddy, for instance, helped me build connections in Ireland that helped me land my Fulbright. She’ll be visiting me in Dublin for a couple of weeks this spring and I can’t wait! 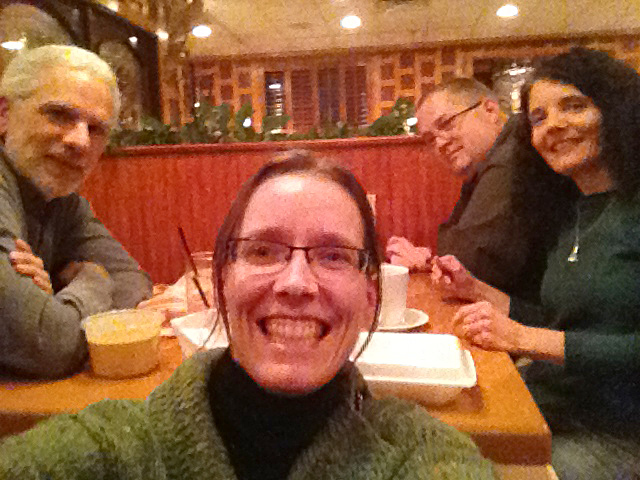 In the meantime, we recently enjoyed a little time together with our “Daves” over dinner in Williamsburg. ← Previous Post Hello to Africa!